Today's Observer has an article about proponents of the G train who want the MTA to shift cars from the (relatively underused) V line to the (generally overcrowded) G line. The MTA says this is an engineering impossibility. As Brooklyn booms, the G train is becoming more and more popular. Yet the MTA continues to cut back on service, resulting in shorter, overcrowded trains running shorter routes and serving fewer people. Gotham Gazette has a three-part rundown (here, here and here, with background here and here) on the City Council's congestion pricing hearings, which started today. As we've said before, congestion pricing is generally a good thing, though the current plan certainly needs some equity tweaks. Can you trust City Hall? The state? The Metropolitan Transportation Authority? In the case of the MTA, no. [Most] members wondered more about funding for projects in their individual districts. [Tish] James, for example, suggested a study to determine the feasibility of linking the G train to the IRT. We'll be parochial and say "Thanks, Tish". Because the congestion pricing proposal before the legislature subtracts tolls from the congestion fee — and sets the maximum that someone would pay to enter Manhattan at $8 a day — many people who cross the Hudson River will essentially get a free ride. Its not clear if this applies only to the Jersey crossings directly into the congestion zone, or if it also affects other crossings from LI, Westchester, etc. But if the goal is to reduce the number of cars entering midtown, you need to raise the price of admission for everyone. That's the whole point of a disincentive - to change behavior. Charging toll-paying drivers the same amount they are paying now does not create much of a disincentive. And contrary to what a commenter says, Jersey drivers have not been paying a "congestion" toll for decades. They have been paying a usage toll for the use and upkeep of the bridges and tunnels (and whatever else the PA chooses to use the money for). City bridges (though not tunnels) are free, but we pay for them via taxes. But whatever the merits of the E-ZPass, the preferential treatment given those who have them raises concerns about equity. To get an E-ZPass, a person needs to have a credit card or bank account, keeping it out of the reach of some poor New Yorkers. You also need a car, and to drive a car, you need insurance. You need gas too. None of those are cheap. So its not clear how many poor New Yorkers we are really talking about here. On the other hand, a lot of people (poorer and otherwise) use the free bridges and as a result don't use E-ZPass now, or use it infrequently. Under the congestion system, drivers will rack up $120 in charges per month - that's a lot of E-ZPass refills hitting your credit card (or bank account). No doubt the fee itself is regressive, but the preference for E-ZPass is the least of that problem. The City Planning Commission has approved a zoning resolution that would require one new street tree for every 25' of street frontage on new developments and large rehabs. CPC estimates that this measure will result in 10,000 new trees being planted. Williamsburg and (ironically) Greenpoint have among the lowest levels of street trees (or any trees, for that matter) per capita, so hopefully at least half those new trees are headed here. By a vote of 30 to 20, the Council today approved Mayor Bloomberg's congestion pricing plan. This sets the stage for a state approval, hopefully within the next six days. Locally, CM Yassky voted in favor; CM Reyna against. Great news - the NY State Assembly has refused to hold a vote on congestion pricing. This guarantees that congestion pricing will not be coming to a congested downtown near you anytime soon. So we can all go back to sitting in traffic, wasting time and money and energy. Our deliveries will continue to take that much longer (and cost that much more). Our bus rides through midtown will continue to be slower than the average walking pace. Our city, which has the greatest public transportation system in the world, will retain its car-centric transportation policies. Its in the constitution, or something. After Mr. Silver announced the plan’s demise, a statement was released by Mary E. Peters, the federal transportation secretary, indicating that her department would now seek to distribute those funds ($354 million) to traffic-fighting proposals in other cities. It takes a special type of cowardice for elected officials to refuse to stand up and vote their conscience on an issue that has been debated, and amended significantly to resolve many outstanding issues, for more than a year. Every New Yorker has a right to know if the person they send to Albany was for or against better transit and cleaner air. 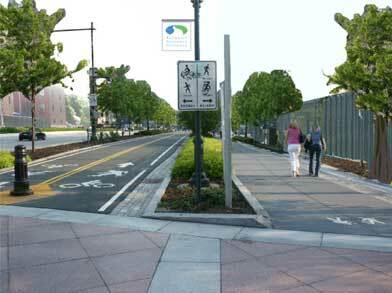 An update on CB 1's Greenway Initiative vote this evening - APPROVED!. Congratulations and thanks to all of the people who came out tonight (and over the past two months) to support this project. Town Square is putting on a Go Green! Greenpoint! Earth Day event this SAturday at McCarren Park. The day features "enviro-friendly vendors, food, music, art contests, recycling stations and much more", with schools, companies, government agencies and community groups showcasing educational displays. There will also be live music throughout the day, wellness classes and chess stations. 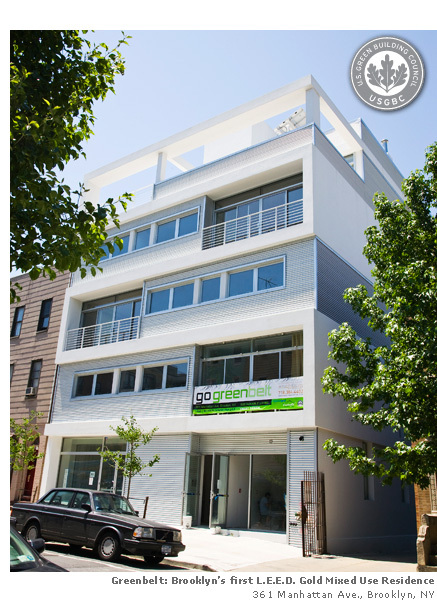 Last week we posted a notice about the Go Green Greenpoint Earth Day event, which was held in McCarren Park this past Saturday. At the time we posted, we were not aware that the events sponsors included ExxonMobil (among other corporate sponsors). As it turns out, no one knew about this sponsorship - word somehow leaked out Friday evening, and in response a group of local activists staged an impromptu protest. As reported here, there was some back and forth between organizers of the event and organizers of the protestors. From what we say, the event itself was well attended, and by all appearances a great success. And the protest was theatrical, effective and respectful of the larger event (if not the event's sponsor). And the protests did not stop ExxonMobil from handing out glossy folders full of "fact sheets" extolling their great work in ridding Greenpoint of the largest oil spill in American history (they're a third of the way there, and its only been 30 years!). The glossy flyers even imply that the spill itself was not entirely ExxonMobil's fault (so we're lucky that they are cleaning it up at all). Its nice to see that ExxonMobil is sponsoring worthy local causes (there is a word for this: greenwash). It would be a lot nicer if they put a little more time and effort into cleaning up our environment. Gratz goes on to talk about the pressures that development have put on local artisans like Aurora - which "has shrunk both the supply of industrial space and housing opportunities for the skilled workforce these companies depend on". 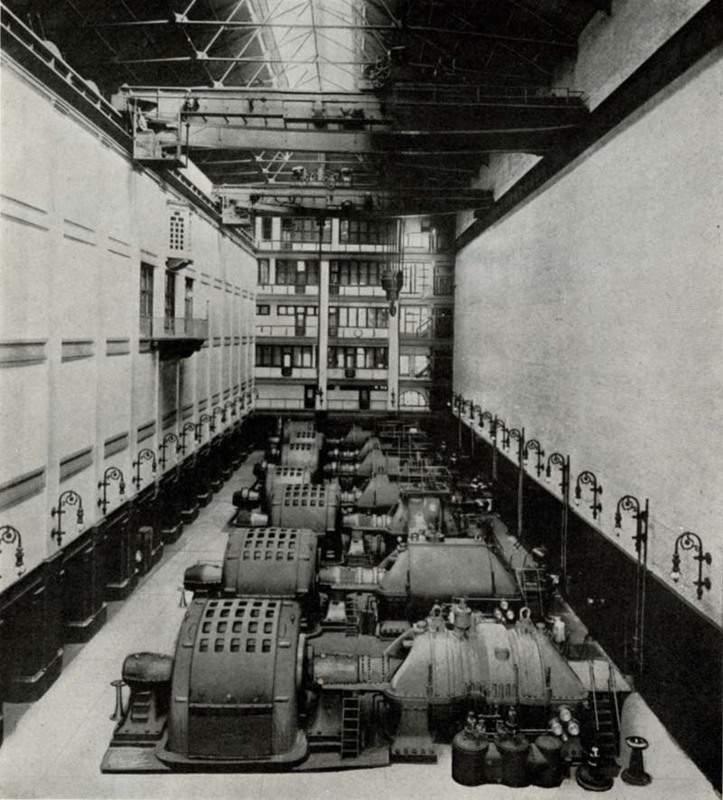 Preservation is fundamentally sustain­able. Given the impor­tance green-building experts place on “embodied energy,” it’s curious that the industry standard barely acknowledges preservation. LEED for Existing Buildings emphasizes main­ten­ance and upgrade but not restoration; LEED for New Construction awards just three points out of 69 for “building reuse,” with all sorts of caveats attached. In contrast, providing bike racks and access to public transit earns one point for each. No penalties accrue for demolishing a viable structure and sending it to a landfill. You even get points for recycling elements from that lost building. 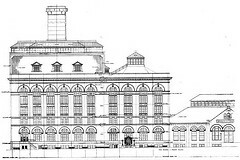 Historic drawing of the Kent Avenue BRT plant. Today's issue of the Brooklyn Papers has some more information on the impending demolition of the Kent Avenue BRT power plant. 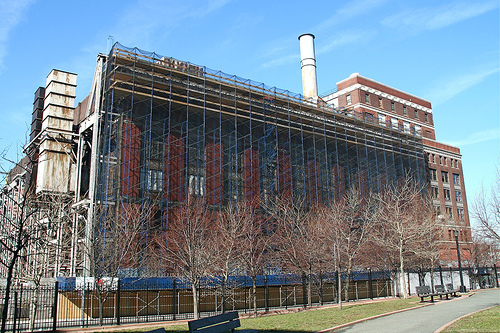 As we learned last week, Con Edison (who now owns the former plant) has finally admitted that they intend to demolish the structure. But they still won't say what they will do with the site. Will it be residential (the odds-on favorite), or go some other use? 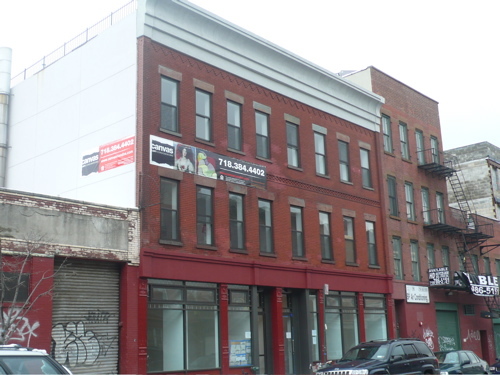 As with many older buildings, the opportunities for adaptive use here are many. But without an idea of what is planned for the site, its much harder to make that case. And surely, Con Ed knows this. Surely, too, Con Ed will cite all sort of factors as to why the building cannot be saved. But most of these are likely to be red herrings. Take the most obvious - environmental remediation. Con Ed will say "well, the building is full of toxins, we have to take it down". But whatever toxins are in the building (asbestos, PCBs) can be removed with the building in place. The incremental cost of remediation is not likely to be significantly higher, and either way, the toxins within the structure will have to be removed and safely disposed of. From a sustainability point of view, it makes far more sense to leave the building in place and adapt it for a new use. Throwing away the whole building is a waste of the resources and energy that went into the construction of the building in the first place. In the past few years, there have been at least two local projects that have proposed the reuse of large shell structures such as this. One is the Domino refinery, where CPC resources is proposing a building-within-a-building solution. The second is the Powerhouse condos in Long Island City. There, a former LIRR power station (a building with a very similar history to the BRT power station) is in the final stages of conversion to housing. The sensitivity of the conversion from a historic preservation point of view leaves much to be desired (to put it gently), but its not a total tear down. Put very simply, under just about any development scenario, this building could be cleaned up and reused. The building could be adapted for housing (luxury, affordable or otherwise). 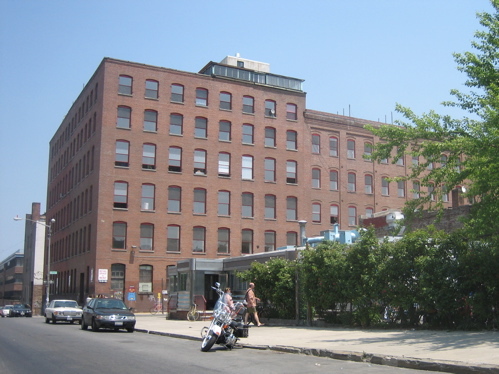 It could also be adapted for industrial use and incorporated into the Brooklyn Navy Yard (which has clearly sghown that there is a demand for good industrial space). The only development scenario that would not be feasible with the building in place is if the site is turned into a waterfront park. But that is the only development scenario that "requires" that the building be removed. 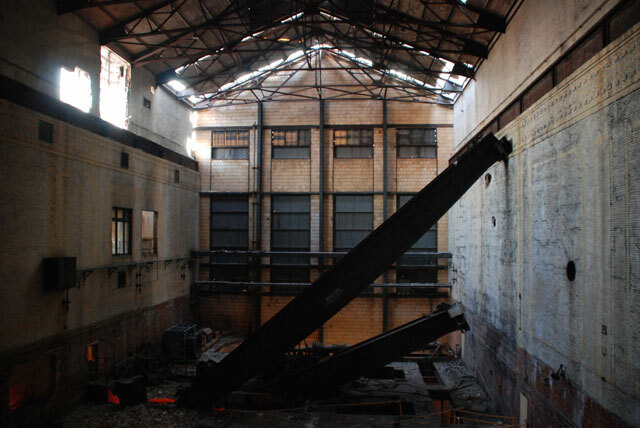 Via Gothamist, Nate Kensinger has photos from inside the BRT Powerhouse at 500 Kent Avenue. As shown in the first photo above, Con Ed has pulled most of the stuff from out of the building, leaving just the shell. It is the shell, of course, that is most architecturally significant. It is also the shell that is least likely to contain hazardous materials. * So maybe Con Ed could stop here, and put the building to good use rather than putting it into a landfill. * Copies of environmental reports obtained by WPA make no mention of any remediation needed to the structure itself, beyond the typical asbestos encased piping and lead paint that one would find in any building of this vintage - industrial, commercial or residential. All of the hazardous material was located in machinery within the building (which has clearly been removed), or in the ground outside the building. 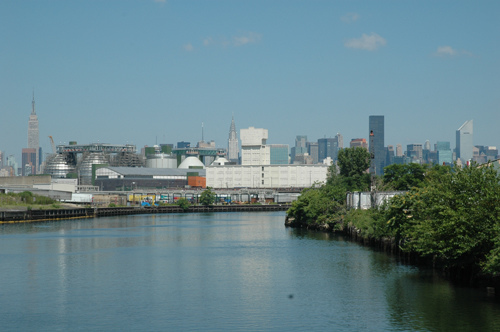 The most significant environmental at this site actually appears to come from the next door site to the south, which was at one time a manufactured gas plant belong to Brooklyn Union Gas. There is (was) also hazardous materials in an ash pit located at the northwest corner of the site (adjacent to 470 Kent), also outside the historic structure. 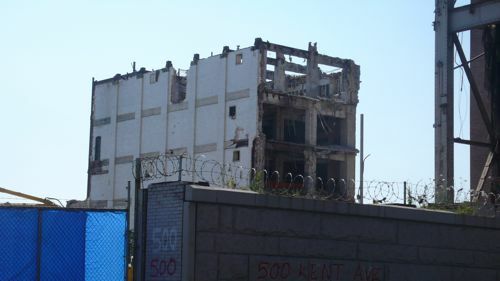 Brownstoner has the latest pictures of the demolition of the BRT power house at 500 Kent Avenue. The building above doesn't look much from this side, but from the water side, it matches the Beaux Arts details of the main section of the building (which is still mostly intact). As Brownstoner points out, Con Ed still has not said why they are demolishing the building or what the future plans for the site are. They continue their shortsighted race to demolish a building with no idea if it even can be reused. 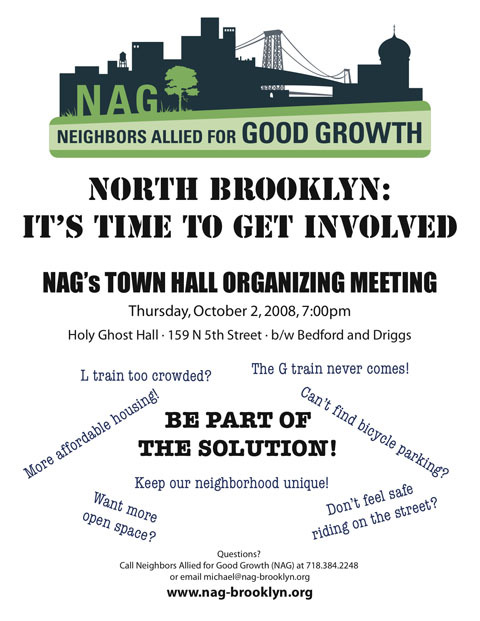 NAG (Neighbors Allied for Good Growth), a community organizing group in Williamsburg and Greenpoint, is having a Town Hall Meeting on 10/2 to mobilize the community on issues facing Greenpoint & Williamsburg. Longtimers will remember NAG as one of the leading voices against waste transfer stations on the waterfront, against Radiac, and for intelligent rezoning that protects jobs and housing. As NAG looks to the future, it is holding this meeting to take the pulse of the community and to identify the issues the community will organize around in the coming years. The Town Hall will take place at the Holy Ghost Hall, 159 North 5th St (between Bedford and Driggs) on Thursday, 2 October at 7:00. The panel will be introduced by WPA's Ward Dennis and moderated by Mary Habstritt of the Society for Industrial Archaeology and WPA. Panelists include Andrew Kimball of the Brooklyn Navy Yard, Bob Powers, preservation consultant for the restoration of the Austin, Nichols & Co. Warehouse (184 Kent) and Lisa Kersavage of MAS (a long-time WPA supporter). When: Wednesday, October 22, 6:30 p.m. – 8:00 p.m., reception to follow. 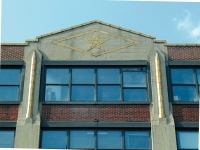 Where: The Municipal Art Society, 457 Madison Avenue, at East 51st St. Cost: $15, $12 MAS members/students. 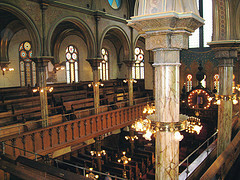 Purchase tickets online or call 212-935-2075. 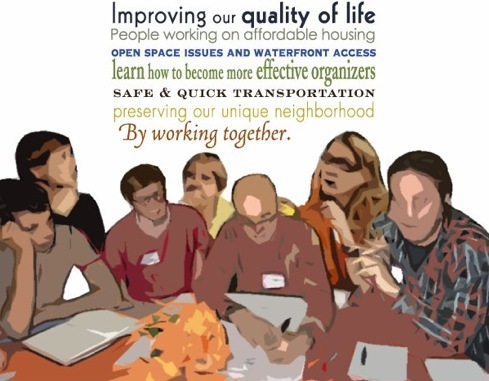 This is an opportunity for folks to help develop the priorities for the coming year(s) for this important neighborhood advocacy group. It seems that the Chamber of Commerce is ahead of us. When we checked their website for past winners, we learned that Greenbelt has already won an award in 2008 - for Mixed-Use Development. In an effort to beautify the growing developer blight in Williamsburg and Greenpoint, NAG's Open Space working group is starting a Guerilla Gardening campaign. On Saturday the Open Space working group will hold a workshop to create seed balls, a land reclamation strategy for derelict, neglected and abandoned land. Volunteers are invited to help the group construct the seed balls on Saturday, March 21st. The following Saturday, March 28th, the seed balls will be distributed and cast into abandoned lots and neglected patches of land all over North Brooklyn at the participants discretion.